To some a million dollars looks green. They spend their whole life completely focused on that green. So much so, that they miss all the other beautiful colors around them. I have been thinking a lot lately about how much I am constantly trying to achieve as opposed to just be. Be and not just achieve, is my goal. I am just a little off balance with that. I have always been an over achiever. There is certainly nothing wrong with success and achievement. It is the balance that is important. The balance between achieving and taking time to just be. Taking time to enjoy the journey. To me, a million dollars looks like having great friends, family, and other special people in my life. A million dollars looks like love, peace and happiness. It looks like great health and having a conscious awareness of self. It looks like a true spiritual connection with all of God’s creation, recognizing that we are all one. Money, yes it is important. It is necessary for survival. 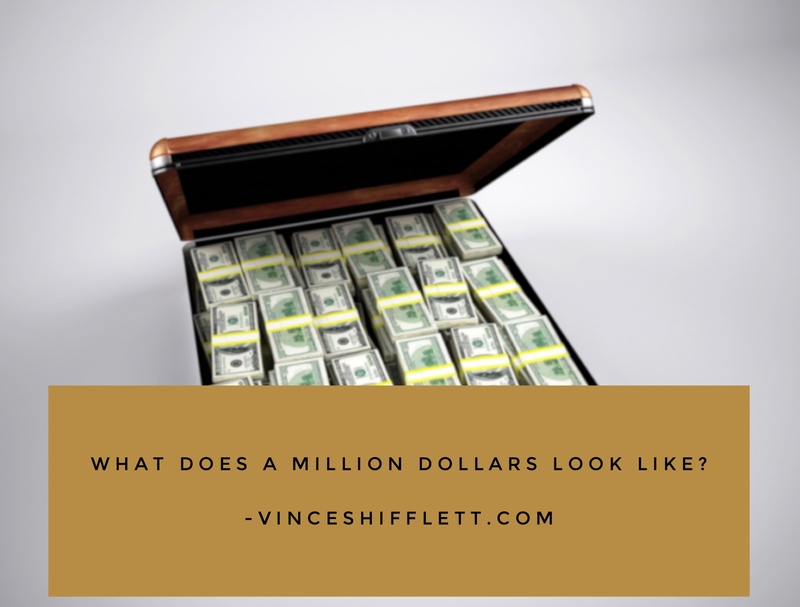 However, a million dollars is not necessary to survive or even thrive. Most of us have way more than we need. Having grown up in a house with no bathroom or indoor plumbing, I truly understand that most of us now have more than we need. I now have 2 bathrooms. I really only need one. Do you have way more than you need? Are you still striving to obtain more? I have come to realize that abundance is not in a bank account. Abundance is in the heart and mind. In other words, it is found in our feelings, thoughts, and how we perceive our life and the world around us. Share the green with all the other beautiful colors around you. Share it with those less fortunate. Make the world a better place for all. It is my intention moving forward to spend more time focusing on the beautiful colors around me, and express gratitude for all those colors. It is my intention to spend more time just being and less time thinking about the green. I see life as worth a million dollars. I see my every breath as worth a million dollars. When I think about it this way, I am already a millionaire. We all are. Im conflicted here as I do believe that money gives the freedom to pursue our dreams and goals on a higher level. If used wisely, wealth can be spread to enrich the lives of others which would be very rewarding. As my mom always used to say, “Money can’t buy happiness.” When we look at some of the incredibly wealthy, famous people who have committed suicide, we see evidence of it. Connectedness is what a million dollars looks like to me. I love it. Connectedness. Connected to spirit. Connected to all of God’s creation. Being aware enough to be connected is priceless. Thank you.